Bit porky, but I really do not know where I can shave. Are these Enve 3.4 disc? If yes why do you prefer these over the Enve 5.6 disc? Newbie here; I've enjoyed trawling my way through this thread and do like the look of the fluoro caad12 above (amongst all the others). 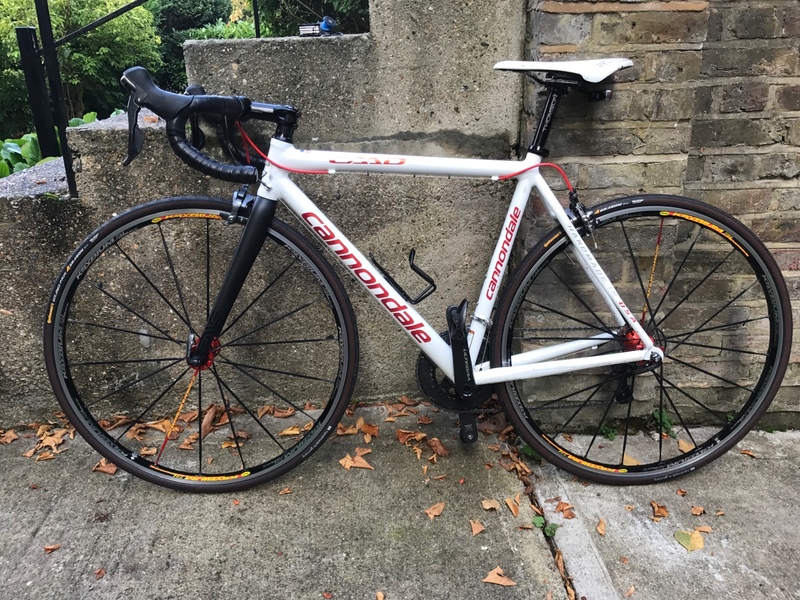 Thought I'd share my 52mm caad9 that I've owned for about 9 years now and recently given a makeover with new ultegra gruppo, ksyrium sl wheelset and enve 2 fork (the old ultra was flaking paint and was a little structurally concerning). Other notable changes are Thompson stem and seatpost, and SI saddle. Continental GP4 tyres - 25mm. DA pedals. 7.5kg. Just wondering if anyone has any ideas for further weight saving. Possible areas are; stock bb, headset, and FSA aluminium bars? 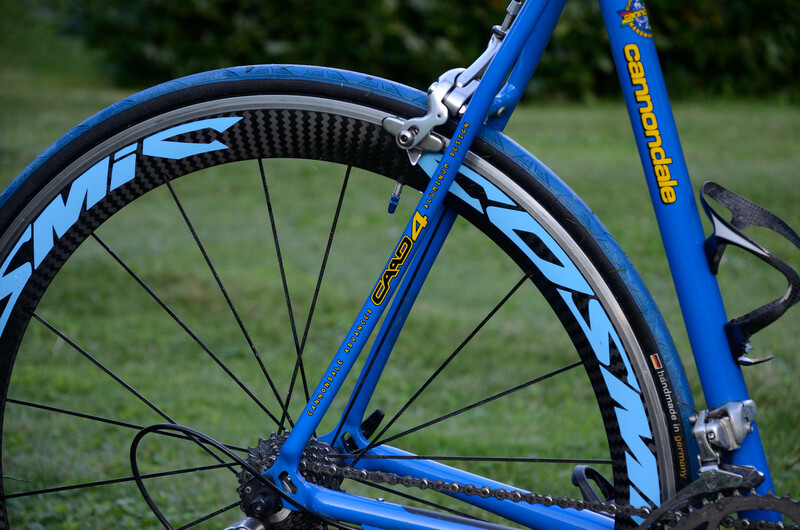 Keep up the awesome CAAD builds! Very nice Ross. And thanks for the ideas. What's happened to the old lady now?? Oh sorry I missed your reply. Still got mine, not currently built but sitting on my bookcase. Will never get rid! Are those sky blue stickers on the wheels or is it just the light?? themidge wrote: Are those sky blue stickers on the wheels or is it just the light?? Yes, they are sky blue, ordered them on ebay I think. 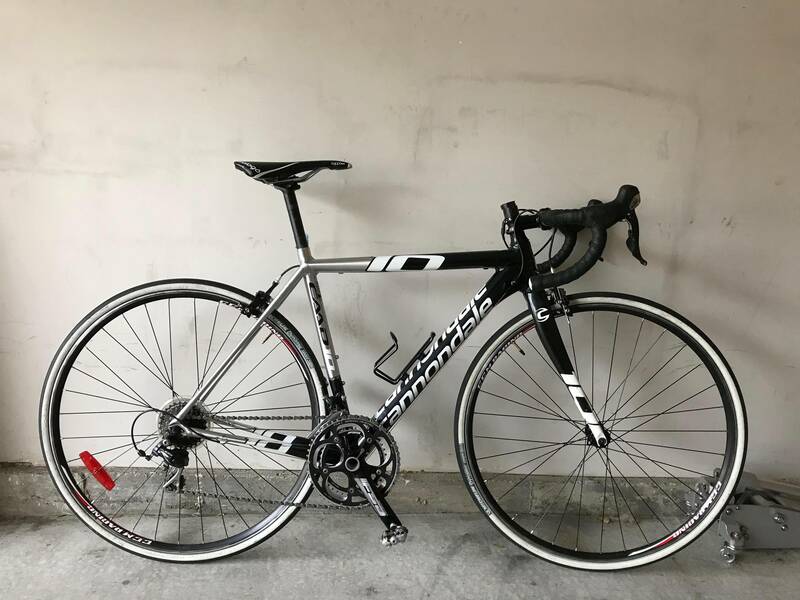 scored a sweet craigslist deal for my winter bike.. which will likely turn into a second summer bike. fulcrum lg7 wheels as it'll be pulling winter duty.. but also have some other wheels at home to play with from my Spooky..
anyone running a caad12 disc convert front fork to flat mount.... aftermarket or maybe a supersix evo disc fork? the 2018 caad12 disc with ultegra spec and higher come with a 12x100 TA flat mount fork. i believe it's the same as the supersix evo disc fork. regardless, the answer is yes, there is one available. grover wrote: the 2018 caad12 disc with ultegra spec and higher come with a 12x100 TA flat mount fork. 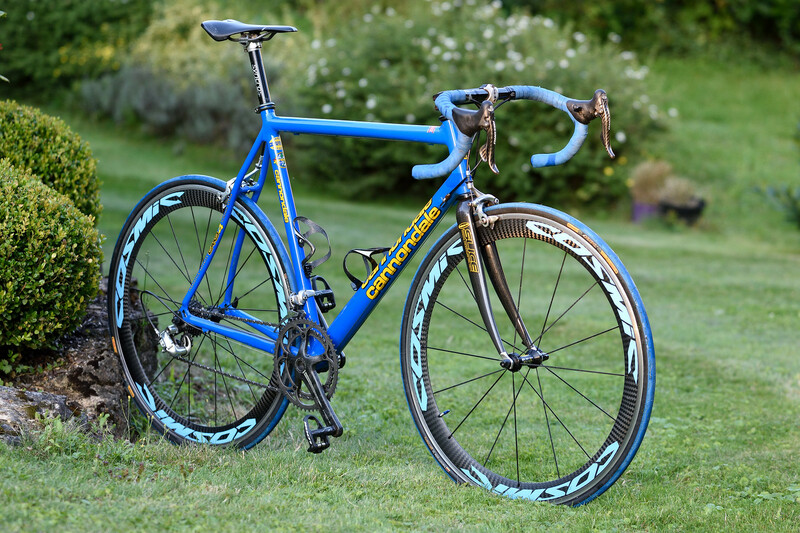 i believe it's the same as the supersix evo disc fork. regardless, the answer is yes, there is one available. thank you. probably going to be easier to go aftermarket then finding a fork for sale. Shame cannondale doesn't sell forks individually.